Vudu Cartography: The Autobiography of Michael Houdeaux by Michael Bertiaux, published in 2010. “Vudu Cartography explores the mysteries of Les Vudu through chants, oracles, seances and a symbolic system of images-all connected by a descriptive narrative which leads us, like a dusty highway, through the shimmering landscape. Drawn from his rich experiences in Haiti, Bertaiuxs own evocative coudon art brut creates a map for those regions of invisible power, giving the reader strange ingress to the mysteries and hiddenness of an exotic theology, which it’s spiritist twists and turns and esoteric spaces.” Hardcover with original jacket in new condition with only the lightest shelfwear from being shelved. Your Great Awakening by S.S. Shapira, published in 1941. Inscribed by the author to actress Marion Davies wife of William Randolph Hurst. Sections Include: Who Was Jesus? What is Christianity? Mysteries, Pagan Risen Saviors, Life Expereinces, Religion of Humanity, What of Judaism, Islamism, Buddhism, Confucionism, etc. Flashlights, Etc. etc. Hardcover with orignal jacket. Authors picture pasted to title page. Shelfwear and light chipping to jacket which is in a protective mylar. 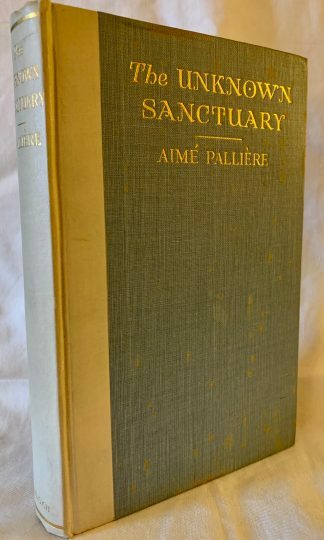 The Unknown Sanctuary A Pilgrimage from Rome to Israel by Aime Palliere, published in 1929. The author was a pupil of Rabbi Elie Benamozegh and a Noahide practitioner. Sections Include: Gustav Dore’s Bible, Brother Alix, Neila, The Abbes Lemann, The Tefillin, The Call of Salvation, The Word of the Gospel, A La Grade Chartreuse, Christ Without a Church, The Dominican Family, The Jewish Family, Elijah Benamozegh, The Catholicism of Israel, Jews and Christians, Meeting with the Master, The Christian Crisis, Pere Hyacinthe, The Modernists, October 1908, Israel and Humanity, Etc. etc. Hardcover with light shelfwear. Inscribed by author under the frontis illustration. Instrumentum VOL. XI, NO. I Spring Equinox 2005. 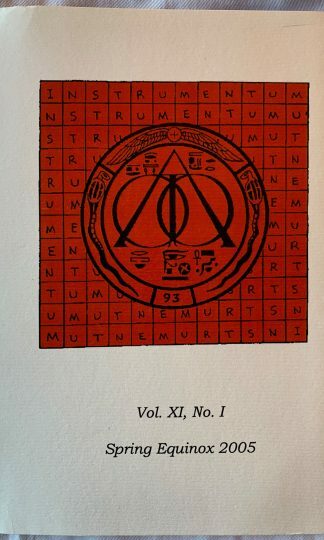 Table of Contents: Editorial, Letter from S.G.M.A., The collection of Pacquests in the Empowerment of Ambaktu by Michael Bertiaux, Outlines of the Four Degrees of Initiation for Michael P. Betriaux and Hector-Francois Jean-Maine, The Uranus Rite by Michael Bertiaux, Official Documents, Zothyrian Mass by Fr. Alha, On the Gnostic Baptism by Tau Melchizedek, Vampyrism from the Neo-Aeonic Perspective by Jozef Karika, The Nomen Lucis and the Solstice of Soul by Frater Ophion, First Occult Self-Examination by Fr. 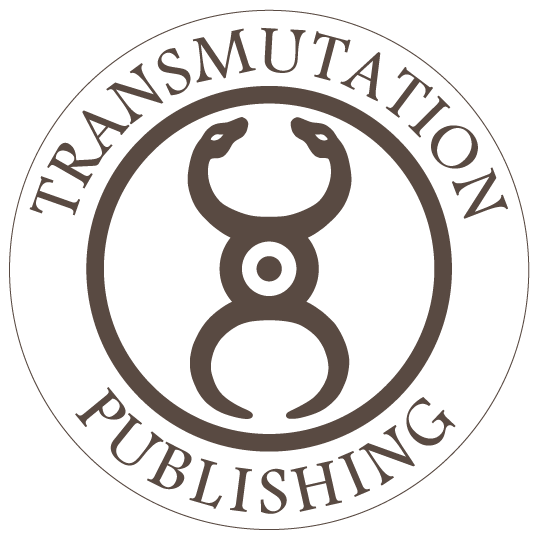 Legbha Helel I°, Occult Filogenesis of Initiation I: Inner Anatomy as the Gnostic Builground by Fr. Svarabala, Le Pont de Feu: Tarot Vudu by Tau Zothyrius, Nulsis Zobop Autobiography by Fr. AAAAT, Goralot for the Secular Year 2005 by Fr. Kulevo, My experiment in Lave.tete initiation by Fra. 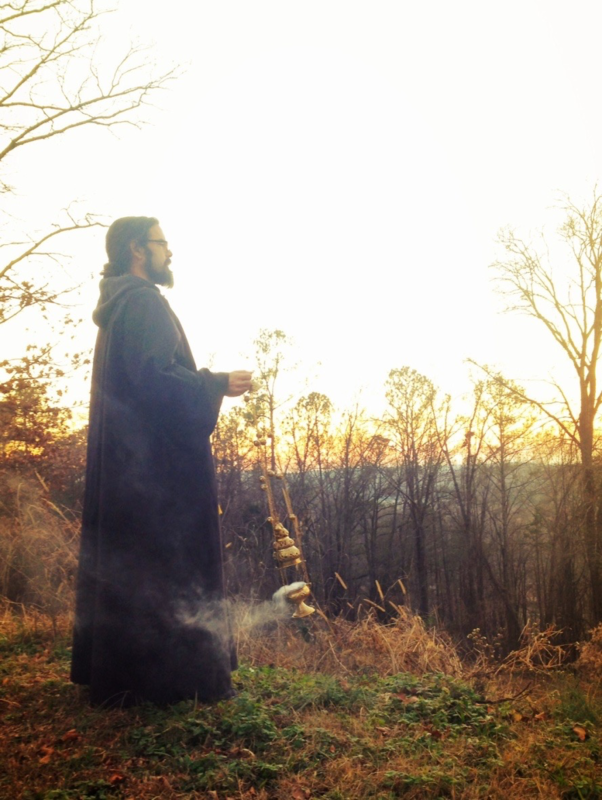 ALPh LVX., First Occult Self-Examination (1) by Fr. EDL, Impression on Gnostic Baptism by Fr. Svarabala, Sabbatick Familiar: Sabbatick Retirement and Empowerment by Fra. Leaping Laughter, Reprint from Instrumentum Vol.I No.3. : Time, Space and Gnosis by Fr. Anon, Art Pages, Internet Presence. Bound in stiff paper covers. Light shelfwear to corners and ends. 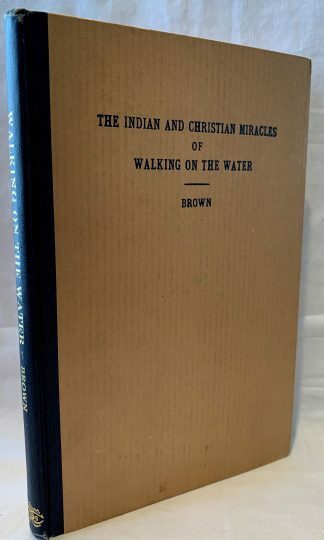 The Indian and Christian Miracles of Walking on the Water by William N. Brown, published in 1928. Sections Include: Walking on the Water in Indian Literature, Psychic Powers of Levitation, The Story of Yasa and Its Mutations, Walking on the Water in Non Christian Literature of Western Asia and Europe, The Indian Source of the Christian Legends, Walking on Water in the Christian Gospels, etc. etc. Hardcover with light shelfwear. 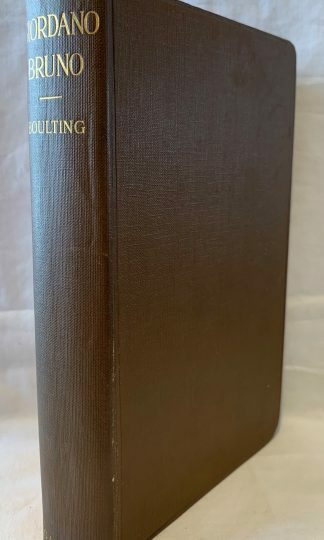 Giordano Bruno: His Life, Thought, and Martydom by William Boulting, published in 1914. 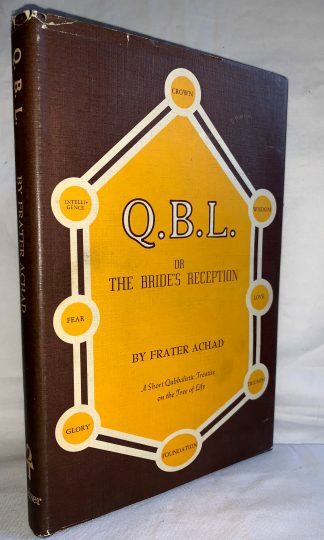 Hardcover with gilt lettering and light shelfwear to cornrs and ends. 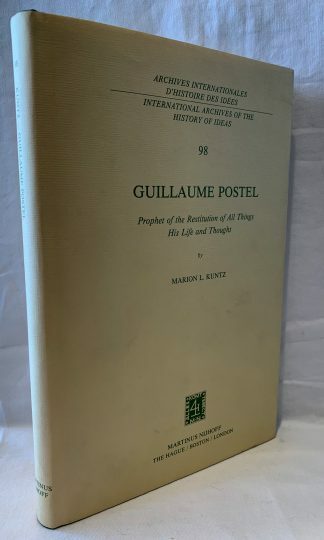 Guillaume Postel Prophet of the Restitution of All Things His Life and Thought by Marion L. Kuntz, published in 1981. Hardcover with original jacket with only the very lightest shelfwear. ​Guillaume Postel (25 March 1510 – 6 September 1581) was a French linguist, astronomer, Cabbalist, diplomat, professor, and religious universalist. A New Light on the Renaissance Displayed in Contemporary Emblems by Harold Bayley, published in 1967. 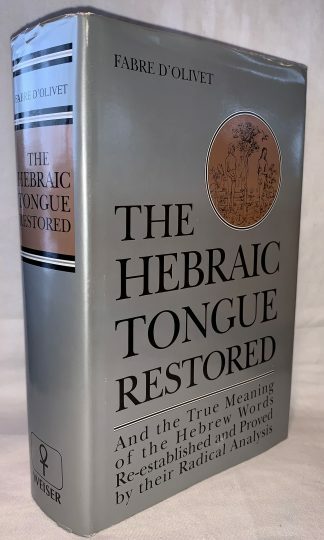 Sections Include: Papermaking and the Albigenses, Religious Emblems, Emblems of the Deity, The Philosophers Gold, The Kabbalah, The Invention of Printing, Tricks of Obscurity, etc. etc. Hardcover with only very light shelfwear. 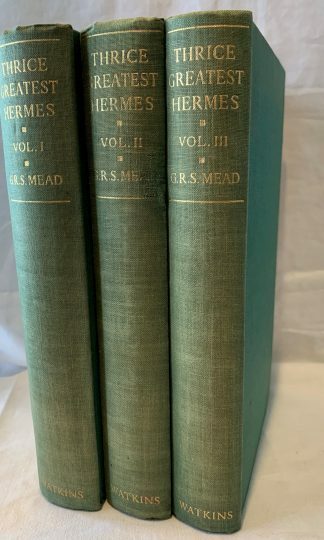 THREE VOLUME SET Thrice-Greatest Hermes by G.R.S. Mead, published in 1949. Sections Include: Sections Include: The Remains of the Trismegistic Literature, Thoth the Master of Wisdom, Thoth-Tehuti, The Popular Theurgic Hermes Cult in the Greek Magic Papyri, The Mystery Myth, The Seven Zones and Their Characteristics, The Vision of Er, The Disciples of Thrice Greatest Hermes, The Cup or Monad, Of Bodies Everlasting and Bodies Perishable, Of the Decans and The Stars, Etc. etc. Hardcover all three volumes with light shelfwear to corners and ends. Prior owner name inside the covers. 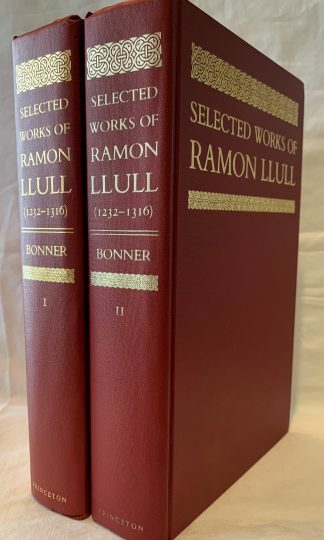 Selected Works of Ramon Llull (1232-1316) edited and translated by Anthony Bonner, published in 1985. 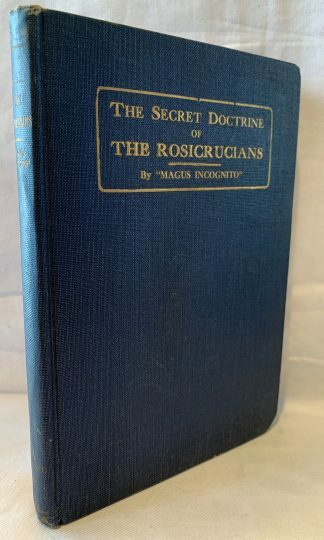 Sections Include: The Book of the Gentile and the Three Wise Men, Ars Demonstrativa, Ars Brevis, Felix or the Book of Wonders, Principles of Medicine, Flowers of Love and Flowers of Intelligence, etc. etc. Hardcover, both volumes are in exceptional condition and have only the very lightest if any shelfwear. 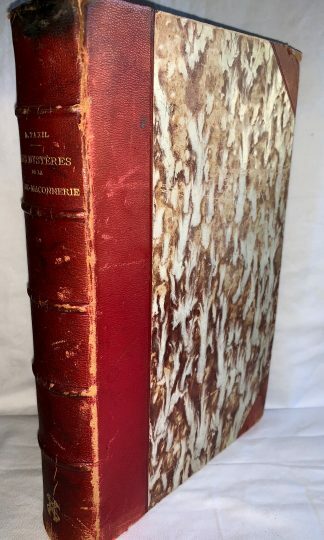 Theosophic Coorespondence Between Louis Claude de Saint-Martin (The Unknown Philosopher) and Kirchberger, Baron de Liebistorf, published in 1949. Theosophic Coorespondence Between Louis Claude de Saint-Martin (The Unknown Philosopher) and Kirchberger, Baron de Liebistorf, published in 1949. Louis-Claude de Saint-Martin is one of the most eminent of the western mystics, responsible for an illuminative ‘Path of the Heart’ that has come down to us in the form of Martinism. 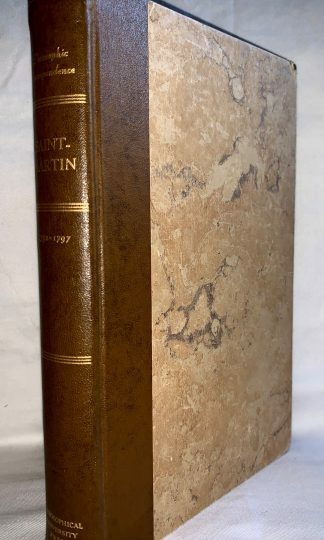 Throughout the tumultuous days of the French Revolution, Saint-Martin maintained a regular correspondence with Baron Kirchberger, member of the Grand Council of Berne, Switzerland, in which he considers and expounds upon many spiritual and theosophical topics of mutual interest. Less formal than many of his other works, ‘Theosophic Correspondence’ reveals a more human Saint-Martin, and forms an accessible introduction to the main points of the Unknown Philosopher’s spiritual doctrine. Hardcover with light shelfwear to corners and ends. Les Mysteres De La Franc-Maconnerie by Leo Taxil, published in Paris undated circa 1890. 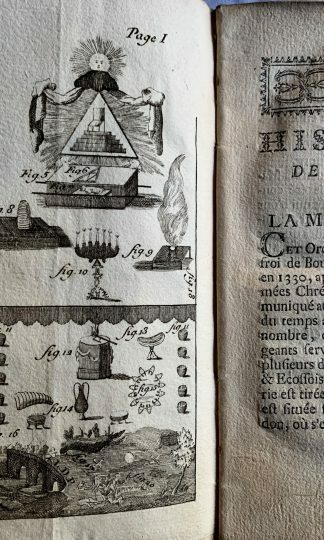 An unusual work in it’s original French text which is an antimasonic work. Marie Joseph Gabriel Antoine Jogand-Pagès, better known by the pen name Léo Taxil: March 21, 1854 – March 31, 1907), was a French writer and journalist who became known for his strong anti-Catholic and anti-clerical views. He is also known for the Taxil hoax, a spurious exposé of Freemasonry and the Roman Catholic Church’s opposition to it. The original work has been bound into marbled paper cover boards, the boards have shelfwear to the corners and ends and a few of the pages have light staining. A prior owner also wrote a pen notation in the upper corner margin on one page. Text in French. The Collected Fruits of Occult Teaching by A.P. 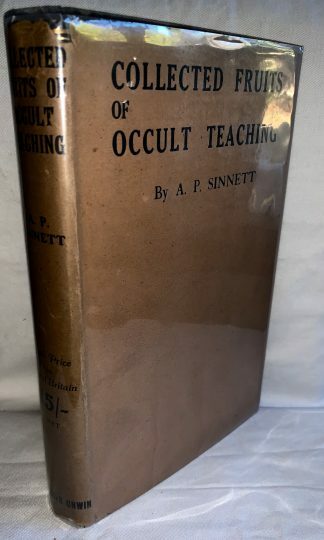 Sinnett, published in 1919. Sections Include: The World’s Place in the Universe, Religion Under Repair, The Occultism in Tennyson’s Poetry, Imprisoned in the Five Senses, Our Visits to This World, The Masters and their Methods of Instruction, The Nature of Consciousness, The Planetary Chain, The Astral World, The Infinite Future, The Pyramids and Stonehedge, The Super Physical Laws of Nature, The Higher Occultism, The Objects of the Theosophical Society, etc. etc. 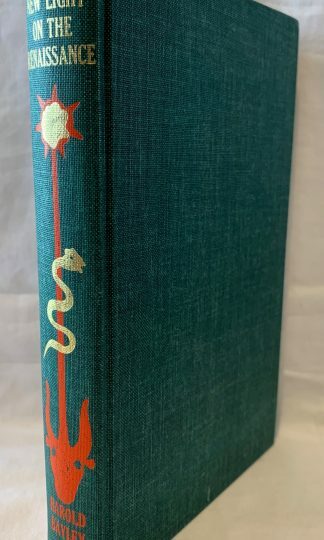 Hardcover with original dust jacket with light shelfwear to jacket. 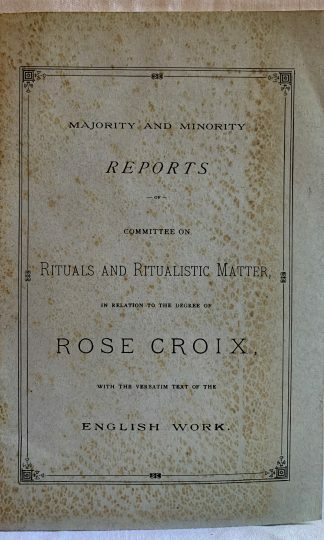 Majority and Minority Reports of Committee on Rituals and Ritualistic Matter in Relation to the Degree of Rose Croix with the Verbatim Text of the English Work, undated circa 1880’s. A rather obscure and anonymously publshed treatise on a higher degree in Freemasonry. Booklet format with foxing to covers. Les plus secrets mystères des Hauts Grades de la Maçonnerie dévoilés. Ou le vrai Rose-Croix, traduit de l’Anglois ; suivi du Noachite, traduit de l’Allemand, published in 1778. “The most secret mysteries of the High Grades of Masonry unveiled” TEXT IN FRENCH. A beautiful rare early work on the higher degrees of Freemasonry. Illustrated including fold out diagrams in beautiful condition. Original paper wrapped covers over sew binding, very worn. Would recommend very careful handing or have bound by a good book binder.